The Hillfoot commercial and technical teams combined to identify cost-saving opportunities in high-volume manufacturing plants, which delivered improved output and reduced tooling costs. Among the services that Hillfoot offer is metallurgical advice to help our customers with steel material selection, production improvements and product design. In this instance, we modified the steel’s machinability in order to deliver an improvement of up to 30% when compared with standard quality material. The improved feedstock led to increased output and reduced tool wear and damage. Carefully defined chemical limits also resulted in consistent quality of the feedstock, saving time with machine set-ups and allowing the equipment to operate without supervision. 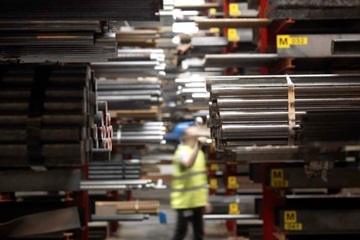 Contact our dedicated sales team to learn how Hillfoot’s innovative approach to steel supply could benefit your business.